The School District of Washington is one of the largest districts in the state in terms of space, covering 254 square miles, and hosts schools in three different counties: Franklin, St. Charles and Warren. Each year, the School District of Washington serves over 4,000 students from all or part of six different communities: Augusta, Labadie, Marthasville, New Haven, Union and Washington. Its K-12 educational program features one high school, one middle school and eight elementary schools. In addition to K-12 education, the School District of Washington also hosts the Four Rivers Career Center, a technical and trade school for students in the district and surrounding areas. The Family Resources Center houses the Early Childhood Education Program and the Technology and Learning Center is home to Parents as Teachers. The School District of Washington is a premier educational center promoting lifelong learning, uniquely committed to the academic, physical, emotional and social well-being of all students. It excels in student achievement, the implementation of researched best practices, the continuous improvement process, the productive use of technology and partnerships with parents and community. The district’s workforce has over 600 employees, including 393 certified staff and administrators to help develop students into productive members of society. For more information, please visit the school district website at www.washington.k12.mo.us. St. Francis Borgia Regional High School is approved by the State of Missouri and is accredited as a college preparatory high school by North Central Accrediting Association, dedicated to the education of the whole person; the school continues its task of helping the individual to develop spiritually, morally, academically and technologically, and will continue to do so well into the future. For more information, please visit www.borgia.com. There is one Lutheran elementary school, Immanuel Lutheran, and four Catholic elementary schools, Our Lady of Lourdes, St. Francis Borgia, St. Gertrude’s, and St. John the Baptist. East Central College has helped countless individuals prepare for careers, begin work on college degrees, and take part in enrichment programs and cultural activities. Since its inception in 1968, ECC has been a dynamic entity within the local region, offering excellent educational opportunities and program partnerships between the College, other educational organizations, and local business and industry. As a comprehensive community college, ECC provides not only the first two years of a baccalaureate education, but career and technical programs and other services to meet the needs of the region. In addition to the over 200 acre main campus in Union, East Central College offers courses and programs at off-campus locations in Sullivan, Washington and two locations in Rolla to bring educational opportunities to growing number of students. Currently, more than 3,000 students are enrolled in a transfer, technical education or allied health program. 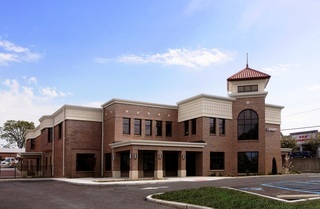 Missouri Baptist University-Franklin County Regional Learning Center (MBU), established in 2000, is part of a private, evangelical Christian, liberal arts institution of higher learning. MBU offers programs leading to professional certificates, undergraduate, graduate, master’s, specialist and doctorate. The Washington Public Library contains over 48,000 volumes, subscribes to some 125 periodicals, has internet access and does passports. It is staffed by four full-time and five part-time librarians and is open daily. The Scenic Regional Library, comprised of the Franklin, Gasconade and Warren County Library Districts, is headquartered in Union. The Library System has 257,746 books and other items. ​A Reciprocal Lenders Agreement between Scenic Regional Library and the Washington Library allows individuals to use both libraries.